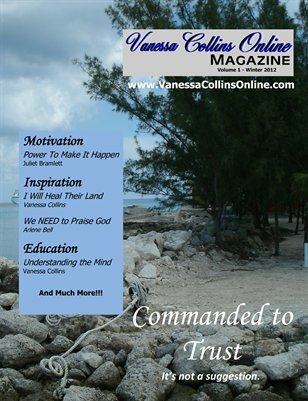 Vanessa Collins is a minister, author, speaker, coach, seminar leader and online information marketer. She is founder of the online Bible Study ministry, Intensive Faith Ministries International. She has over 20 years of experience in church leadership, youth and women ministry, teaching, evangelism (jail ministry), church administration (including finance and bookkeeping), and program coordination. As a speaker, Vanessa is known for her ability to explain and break down any subject. She has is an anointed and gifted preacher, teacher and seminar leader whose energy will inspire you. 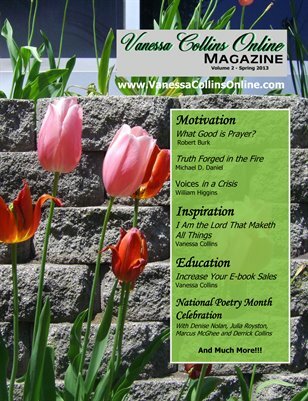 Vanessa is co-owner of Heart Thoughts Publishing and has written several books including, "Intensive Faith Therapy," "The Promises of God," and the "The Promises of Jesus." Vanessa and her husband, Derrick Collins, have four children. She received her Bachelor of Science degree in Chemical Engineering from the Illinois Institute of Technology, graduating with honors. Vanessa worked as an Environmental Engineer for Amoco Corporation for 13 years and served as Administrator/Teacher for the Hazel Young Academy for 8 years. 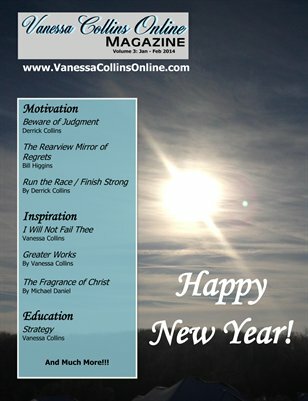 Vanessa strives to honor her purpose which is to use her intellectual and analytical leadership skills to teach, motivate and inspire people to develop an intimacy with God and His Word that allows them to fully understand the dominion that God has given them by which they can live to their fullest possible potential, worship God and serve their fellow man.